Transfer News. La Liga giants Barcelona are planning to splash £40million on Arsenal full-back Hector Bellerin, according to Daily Mail. 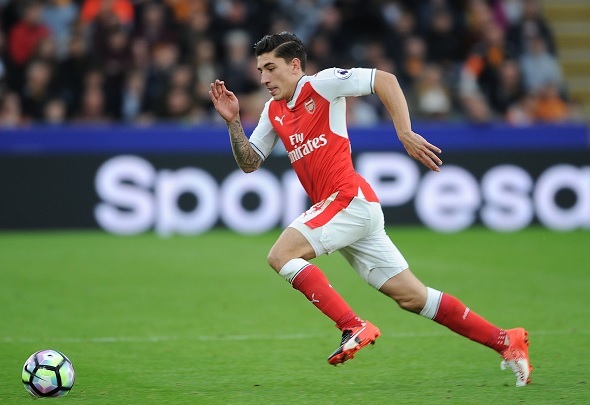 La Liga giants Barcelona are planning to splash £40million on Arsenal full-back Hector Bellerin, according to Daily Mail. The Arsenal star right-back has been in continuous link with a move to the Spanish giants for the past few years. The reports strongly claimed in the summer that the departure of Dani Alves could mean an arrival of Bellerin, however this does not happen despite of Alves move to Juventus. It is expected that Bellerin will be following the footsteps of former Arsenal player Cesc Fabregas. Currently, Fabregas is in link with a move away from Chelsea. Read More! Spanish newspaper Sport reported that manager Luis Enrique is expected to add new faces in the January transfer window and Bellerin could be their top target. Meanwhile, Arsenal manager Arsene Wenger will be now planning to offer a new long term contract. Furthermore, reports believe that the Gunners have told the Spanish side that they will not sell the defender for less than £40million. Do you want Bellerin to stay, what do you think?